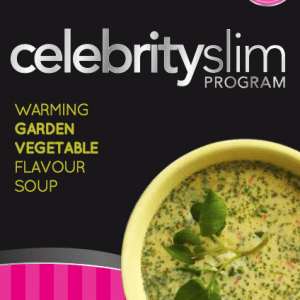 Our satisfying Celebrity Slim Soups can be used to replace a meal, just like our Celebrity Slim Shakes or Bars. 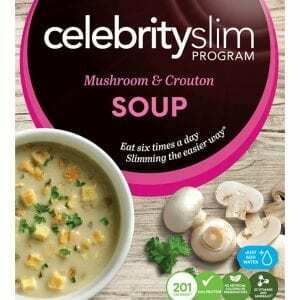 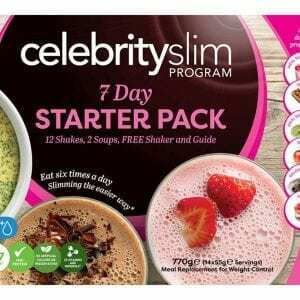 Each Celebrity Slim Meal Replacement Soup contains a nutritionally balanced combination of protein, carbohydrates, fats, vitamins, minerals and soluble fibre, to sustain your energy while you lose weight*. 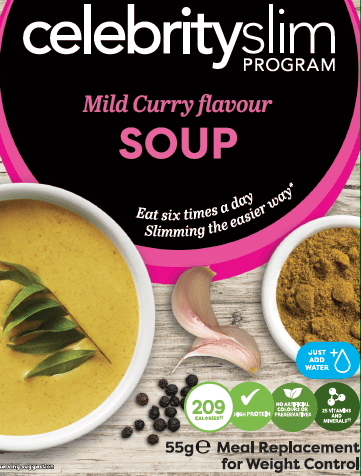 Skim Milk Powder, Glucose Syrup Solids (Wheat Gluten), Vegetable Oils (Milk) (Sunflower Oil, Refined Palm Oil, Canola Oil), Soya Protein Isolate, Calcium Caseinate (Milk), Whey Protein Concentrate (Milk, Soya), Flavours (Wheat Gluten, Soya, Milk, Celery), Curry Powder (4%) (Mustard), Inulin, Modified Maize Starch, Carrots, Onion Powder, Pumpkin Powder, Tomato Powder, Minerals (Dairy Calcium (Milk), Magnesium Oxide, Ferric Pyrophosphate, Zinc Sulphate, Manganese Sulphate, Copper Sulphate, Potassium Iodide, Sodium Molybdate, Chromium Chloride, Sodium Selenite), Vitamins (A, Thiamin, Riboflavin, B6, B12, C, D, E, K, Folate, Niacin, Pantothenic Acid, Biotin), Dietary Fibre (Fibersol-2TM), Parsley, Garlic Powder, Anti Caking Agent (E551), Gelling Agent (Potassium Chloride), Potato Starch, Thickeners (E412, E415, Celery, Black Pepper, Colour (Carotene), Pumpkin Powder, Tomato Powder, Yeast Extract, Rice Flour, Caramel Colour (E150a), Salt, Dextrose, Flavour Enhancers (E627, E631), Emulsifiers (E322, E450, E471, E472c), Acidity Regulator (Citric Acid).